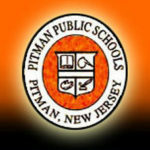 Pitman Public Schools have a long and celebrated history that dates back to 1884 with the establishment of the Pitman Grove School District administered by the Mantua Township Board of Education. When the Borough of Pitman was incorporated in 1905, the Pitman Board of Education was created with students up to eighth grade attending Summit Avenue School. The original Pitman High School was built in 1922. Prior to that, students attended high school in Glassboro and Woodbury. The first graduating class of Pitman High School consisted of fifty students in June 1926. The district facilities expanded in 1926 with the completion of two elementary schools – W.C.K. Walls School and Elwood Kindle School. Memorial Elementary School (1962) and the ‘new’ Pitman High School (1972) were built to accommodate our growing population of students. The original High School became Pitman Middle School after the completion of Pitman High School in 1972. Today, the school district consists of five schools – 3 elementary, a middle school, and a high school, and enrolls approximately 1300 students in grades pre-K through 12th. The district accepts applications from non-resident students who wish to attend Pitman schools on a tuition basis. The district also offers full day kindergarten, a tuition pre-school program (ages 3 and 4; half day program), and the Panther Club child care program (before and after school) for students up to grade 5. Pitman’s schools have a long history of excellence, and enjoy tremendous support from the community.